This week brings many opportunities for hearing music, including the Minnesota State Fair, where, in addition to food-on-a-stick, you’ll have a number of opportunities to see, and dance to, visiting and resident musicians. Mountain King @ Jazz Central, Minneapolis. 8:30pm ($10 Suggested Donation) This is the last appearance of this bass trio, since Brian Courage is moving to New York. Catch em’ While you can. Jeremy Boettcher, Graydon Peterson, Brian Courage. Who says people don’t listen during a bass solo? Maryann Sullivan @ Jazz Central, Minneapolis. 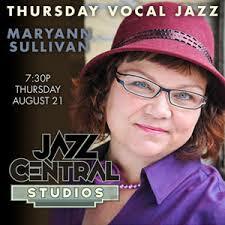 7:30pm ($10 Suggested Donation) Sullivan is usually curating this vocal series, but tonight she’s stepping out front. She’s a singer who knows how to swing Peggy Lee, Blossom Dearie, and more. With Doug Haining, on reeds, and David Martin on guitar. Group 47 @ Studio Z, Saint Paul. 8pm ($10) I’ve written a bit about this band in the past few months, given their new album, Straight To Vinyl. Like the other bands in this Thursday night series, Group 47 play original compositions, though I wouldn’t be surprised if they throw in a jazz standard or two. Led by trumpeter Steve Kenny, the group includes some young lions: Will Kjeer, piano; Thomas Strommen, sax; Adam Tucker, bass; and Alex Burgess, drums. Topher Dunlap Jazz Trio @ Mattie’s on Main, Minneapolis. 9pm (Free) Mattie’s is a new venue located in St. Anthony Main. It seems a bit strange as a venue for jazz – a self-styled “modern day saloon” with 16 beers on tap, an eclectic bar menu, TVs with sports, and a fine stage. They also feature karaoke, as well as other types of bands. I know little about this group, except that Topher helps out at Jazz Central, but it’s certainly worth checking out. Phil Hey Quartet and Stefan Kac’s Band of No Return @ Jazz Central, Minneapolis. 7:30pm ($10 Suggested Donation) The Phil Hey Quartet is a known entity here in the Twin Cities: marvelous, well-played jazz. They’ll be starting at 7:30pm. 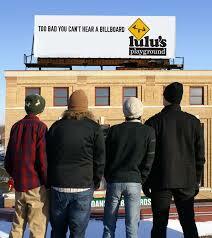 Along about 9:30 or 10pm, Stefan Kac’ Band of No Return will take the stage. Kac is a tuba player and composer who is originally from the area and currently based in Los Angeles. The award-winning composer will be joined by Geoff Senn, trumpet; Shilad Sen, tenor; and Pete Hennig, drums. Pavel Jany & the Talking Strings @ Alexis Bailly Vineyard, 18200 Kirby Ave S, Hastings. 1pm – 4pm (Free) Take in a wine tasting, have a little picnic on the Vineyard’s patio, and listen to East European Gypsy music, French jazz, and Brazilian bossa novas, as well as other world music and originals from this group. Pavel Jany, guitar; Gary Shulte, violin, and Dan Weston, bass. Jazz Central All-Stars @ Jazz Central, Minneapolis. 8:30pm ($10 Suggested Donation) Tanner Taylor, piano; Dave Graf, trombone; Graydon Peterson, bass; Zach Lozier, trumpet; Doug Haining, reeds; and Mac Santiago on drums. Tanner returns for an evening with this group that’s been bringing it’s music to parks and auditoriums around the state. Twin Cities Latin Jazz Orchestra @ Jazz Central, Minneapolis. 8:30pm ($10 Suggested Donation) They wowed at the Twin Cities Jazz Festival, with a big, big, rhythmic sound. It’s more or less an open rehearsal, so you may get some insight into how a song is arranged. Stephanie Nilles @ KFAI and The 331 Club, Minneapolis. 5pm (90.3 & 1206.7FM), 7pm (331 Club – Tip Jar) Nilles is a classically trained barrelhouse piano player from New Orleans, who has sung with Bobby McFerrin at Carnegie Hall and has performed at official showcases at SXSW and the International Folk Alliance. As Hurricane Harold would say, “You know the drill,” tune in and get to the 331. Rich Lewis Band @ Como Lakeside Pavillion, Saint Paul. 7pm (Free) What a great way to spend a summer evening. Lewis and the band play New Orleans R&B,vintage rock n’ roll, soul music, and even standards, not to forget their own originals. Always a good time, especially if you like to dance. Orkestar Bez Ime @ The Black Dog Coffee & Wine Bar, Saint Paul. 7:30pm (Tip Jar) Raucous Balkan party music, for movers and shakers, whether you’re in your chair or on a dance floor. Rockin’ Pinecones @ the Schell’s Stage, MN State Fair. 2pm, 3pm (Free w/$13 Fair admission) Lots of good music at the Fair this year, including the sweat-inducing Cajun and Zydeco of the Pinecones. Blood, Sweat, & Tears @ the Leine Bandshell, MN State Fair. 8:30pm (Free w/$13 Fair admission) Guilty pleasure of the week. Even though none of the current members of the band were in the original configuration of the 70s, all play in a myriad of other rock, soul, and jazz bands when not on the road with BS&T. They’re professional through and through and though David Clayton-Thomas may not be singing lead, Bo Bice, runner-up in the fourth season of American Idol, is sure to handle the chore with aplomb. Aretha Franklin & The Four Tops @ the Grandstand, MN State Fair. 7:30pm ($45 + $13 Fair admission) The Queen of Soul returns to Minnesota after an absence that’s lasted far too long. Though the hit-making Four Tops had its original line-up for 44 years, death has reduced the band to original member Duke Fakir, along with three other singers. Don Scott & Curtis Blake @ Bayport BBQ, Bayport. 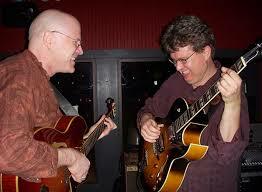 8pm ($6) Guitar/harp blues duo with interesting arrangements of songs you know and even more interesting originals. The Original Wailers @ The Cedar Cultural Center, Minneapolis. 8pm ($20 advance/$25Door) It doesn’t get much heavier in reggae than the sound of the group that backed Bob Marley, Peter Tosh, and Bunny Wailer all those years ago. Hipshaker 12th Anniversary Party @ The Kitty Kat Club, Minneapolis. 9pm – 2am ($5) Rare soul and funk 45s from Brian, George, and Greg, along with special guests, shaking the dance floor at the Kitty Kat. Alejandro Escovedo & Joe Ely @ The Dakota, Minneapolis. 7pm ($45, $50) If you’re looking for literate songwriting, this is the place tonight. Escovedo and Ely are a couple of Texas music legends getting together for an evening of music. Both have long careers spanning genres from country to punk. Ely appeared at the Dakota in May, putting on an engaging performance. Cedar’s 25th Anniversary Party @ The Cedar Cultural Center, Minneapolis. 8pm (Free) It’s a Latin night at the Cedar, with Making Movies (Kansas City); De La Buena (Milwaukee); and deejays from Worldwide Discotheque (Minneapolis). Prophets of Peace @ The Schooner Tavern, Minneapolis. 9pm (Tip Jar) Funk & Soul from this tight ensemble that reformed after the success of the Twin Cities Funk & Soul record compilation. Paul Cebar and Tomorrow Sound @ The Leine Bandshell, MN State Fair. 8:30pm (Free w/$13 Fair admission) Cebar is moving up to the larger stage and two night, bringing along his talented band and highly literate originals as calypsos, R&B, and soul music just right for dancing. Happy Together Tour 2014 @ The Grandstand, MN State Fair ($21 + $13 Fair Admission) It’s a nostalgic night for boomers, with the under-rated Turtles (w/Flo & Eddie), as well as Chuck Netron of # Dog Night, Gary Lewis & the Playboys, Mark Farner of Grand Funk Railroad, and the explosive Mitch Ryder & the Detroit Wheels. Vinyl Voices @ Harriet Brewing Tap Room, Minneapolis. 6pm – 9pm (Free) A group of vinyl junkies from KFAI have started this weekly gig, which generally features two KFAI volunteers spinning LPs and 45s. This week it’s DJ Steely from Kinda Cloudy and Miguel Vargas from Radio Pocho spinning a mix of international records, including Latin, soul, and other genres. The O’Cheeze food truck will be on hand. DakhaBrahka @ The Dakota, Minneapolis. 7pm ($25, $32) This Ukrainian quartet dubs their music “ethnic chaos.” It’s a highly theatrical troupe using costumes, a variety of instrumentation and uncompromising vocals to create a mesmerizing music and a circus-like atmosphere. LOTT opens. This entry was posted on Wednesday, August 20th, 2014 at 4:11 pm and is filed under Weekly Preview. You can follow any responses to this entry through the RSS 2.0 feed. You can leave a response, or trackback from your own site.